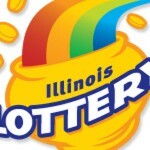 Matching all six numbers on a lottery slip is a remarkable achievement and most players don’t get that lucky as winning the Illinois Lottery jackpot. Giuseppe Anelli on the other hand, was fortunate enough to get lucky twice, because not only he won the main price but also recovered his lost ticket in the nick of time. Chicago Sun-Times reporters reveal the fact that the lucky winner placed the ticket in the car’s glove compartment and completely forgot about it, only to stumble upon it by mistake. 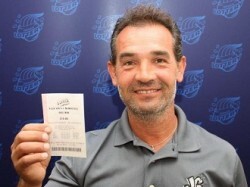 Giuseppe Anelli describes himself as a resolute person and an avid lottery player, who bought hundreds of tickets over the course of time. Despite the fact that he never won a significant amount, he never gave up and eventually lady luck smiled upon him with benevolence. He won the Illinois Lottery jackpot worth $1 million, but somehow he completely forgot about the ticket and didn’t check out the winning numbers. One day, as he was at a gas station he discovered that he had an Illinois Lottery ticket in his glove compartment, the place where Giuseppe used to place ticket on a weekly basis. The ticket was purchased in early August and much to his surprise, the scanner suggested him to file a claim, something that he did upon returning home. He discovered that he managed all winning numbers and for this performance the lottery awarded him $1 million, more than enough to pay off the mortgage and pay for his kids’ college tuition. The gas station that sold the winning ticket was also lavishly rewarded with a $10,000 check. 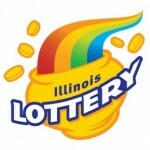 The Illinois Lottery is just one of the many games nationwide that sell winning tickets which are never cached in and the reasons for why this happens are numerous. High on this list is negligence, as players fail to check the winning numbers the day after the lottery draw and even less watch these events live. 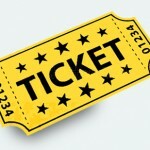 The more time passes, the more unlikely it is for the players to stumble upon the tickets by chance and in some cases even when they do, they don’t realize that these are potentially winning tickets. 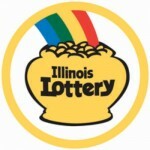 Illinois Lottery officials frequently remind players that they should keep tickets in a safe place, instead of moving them around or placing them in random places. Equally important is to sign winning tickets to prevent theft, but it wouldn’t be excessive for players to sign the tickets they purchase just in case they might get lucky. There are good reasons for why winners choose to take their time before claiming the prizes, but it is recommended not to wait for too long, so that the jackpots don’t expire. 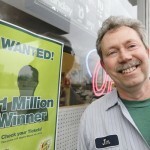 Check out the $1 million scooped in the Illinois Lottery as well.